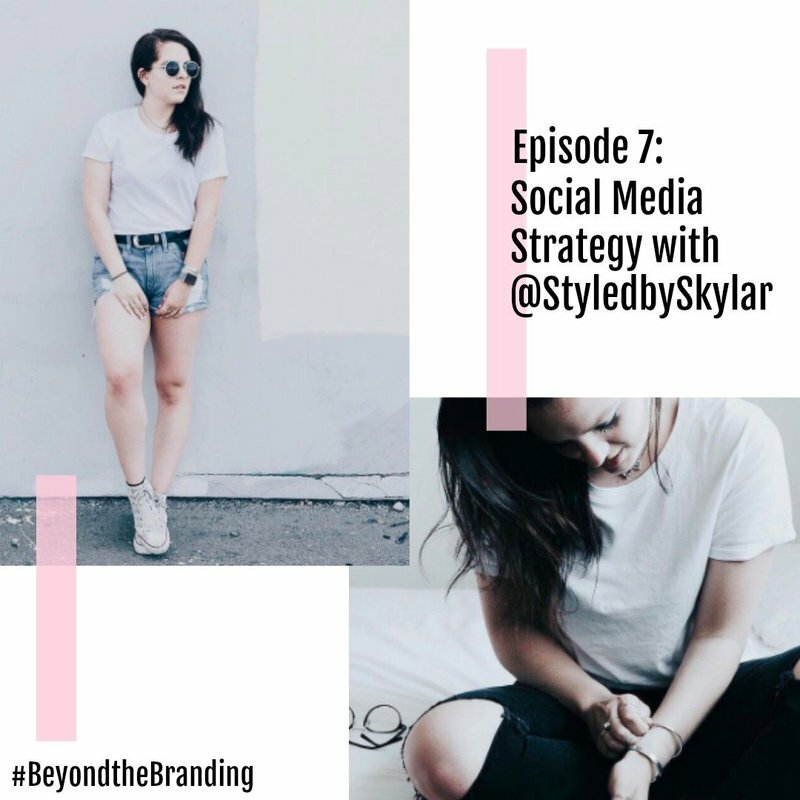 Welcome to Beyond the Branding: Interviews with Influencers, where Public Relations and Social Media expert Victoria Sneden sits down with your favorite YouTube and Instagram influencers to answer your questions about finding inspiration to create amazing content, social media, entrepreneurship, work/life balance, and more! THE EPIC RISE OF @SEREINWU...THE INFLUENCER WHO DOES EVERYTHING! (05:00) Who am I and why should you trust me or listen to this podcast? (10:00) Thanks, MAC Cosmetics, Glamour Dolls Makeup because without you I wouldn’t be here! (15:00) Get involved in the conversation! Subscribe via iTunes for new episodes each week! (2:00) Intros; Who is the great Lesley Malhoyt?! (5:00) Taking it again back to the beginning, how–where did your interest in kind of makeup start? I know that you said that you’re a pro makeup artist, but how did you kind of delve into the world of beauty? (10:00) How do you balance curating content for multiple social platforms? Does each platform have a different set of “content requirements” for what works best on say…Instagram versus YouTube? (17:00) Tell us about the beauty community and Ipsy Open Studios!! (23:00) So what empowered you to become a YouTuber? (25:00) The million dollar question, how do you approach brands to work with them? What tips and tricks do you have?? (37:00) You manage yourself (as in, you don’t have a manager to funnel your brand partnerships) how do you keep it all straight? (43:00) What are your thoughts on #Sponsored content? (51:00) Where can we stalk you on social?!?!?!?!? Where Can I find Lesley Online? (5:00) So!! How did you get started to posting to YouTube and social? (10:00) Tech?? 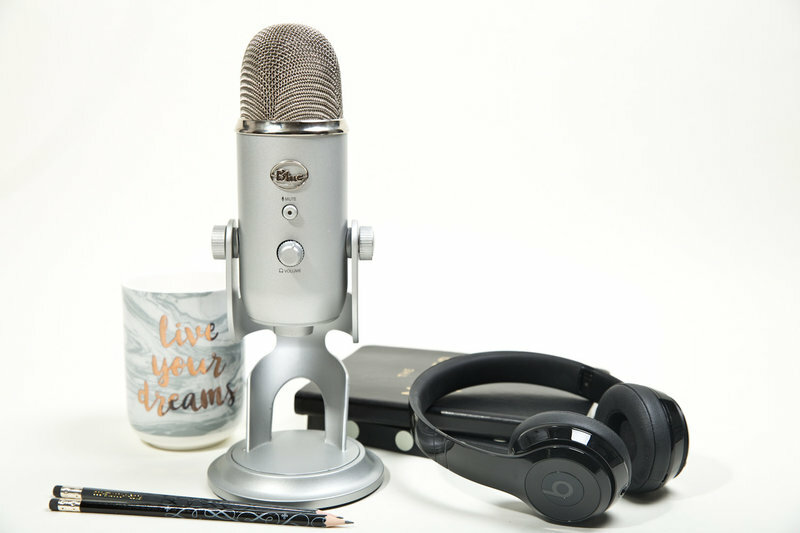 How did you handle buying equipment and learning how to edit your content?? (14:00) What are your thoughts on the community and the content you put out there? How do you keep yourself so positive in a community that is known to be a little catty? (19:00) I heard you teach makeup classes!!! How did you get into branching out like that? (25:00) Working with brands can be tricky to navigate…how did you start? Do you credit your success in landing sponsorships to anything in particular? (43:00) Your videos are so high-energy, how do you beat creative burnout? Do you ever get tired of pushing out content consistently? Where Can I find Crystal Online? Where Can I find David Online? Where Can I find Lynette Online? Where Can I find Julia Online? Where Can I find Skylar Online? 2:00- Meet today’s guest, SKYLAR ALLEN!! I’ve stalked her for an aggressively long time on Instagram and has one of the prettiest Instagram feeds I’ve ever seen, I live for her #ToastTuesday series! 2:30- So tell us about yourself! Who are you and what do you do for your 9-5PM?! 5:00- What got you into social media management? 12:00- Pro Tip #1: Get involved at your school, it’ll open SO many doors for you in your professional career post-grad! 13:30- How did you learn to balance managing a content calendar for your day job/ clients as well as yourself? 19:00- Do you ever have a hard time putting down the phone? What tips do you have for being present in the moment? 24:00- Okay, let’s talk equipment. What tips do you have for photography? You live on Instagram, share your knowledge!!!! 30:00- Instagram growth. What do you think caused your explosive IG growth, especially during a time where so many influencers are struggling with the platforM? 40:00- How do you break down barriers to connect with other creatives in a way that helps your goal of growth? Tell us about The CrEATe Project! 50:00- Sponsorships, sponsorships, sponsorships!!! What tips do you have for influencers looking to partner with brands, given that you see both sides of the situation? If you live in the San Fran area, check out Skylar’s passion project CrEATe Project! They’re hosting a Friendsgiving this year (so cuteeee) and it sounds like SUCH A GOOD TIME!!! You can pick up a ticket here, eat all of the food for me! Episode 8: It's all about the MICRO! We all know how much I love to talk about microinfluencers and how they're taking the world by storm, yes? Well, today's guest is no different! Chloe is a total force in the lifestyle/beauty YouTube vertical and has an awesome story behind how she found herself in front of the camera. Today's episode is all about hearing from "the little lady" so to speak, and how Chloe is able to totally crush the influencer game with off-the-charts engagement. 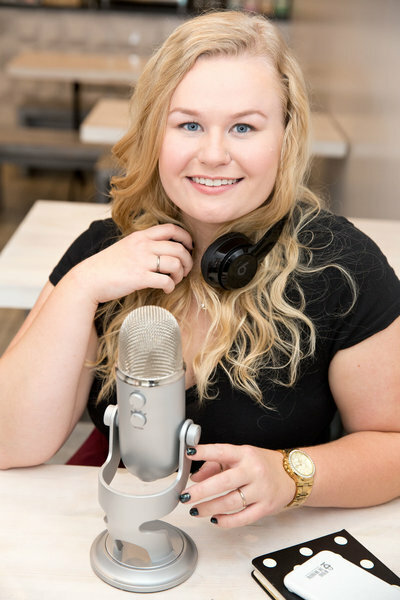 She's got tons of great advice for influencers that are just starting out in the space, ranging from how to approach and talk to brands to landing #spon content. This is totally an episode you DON'T want to miss! 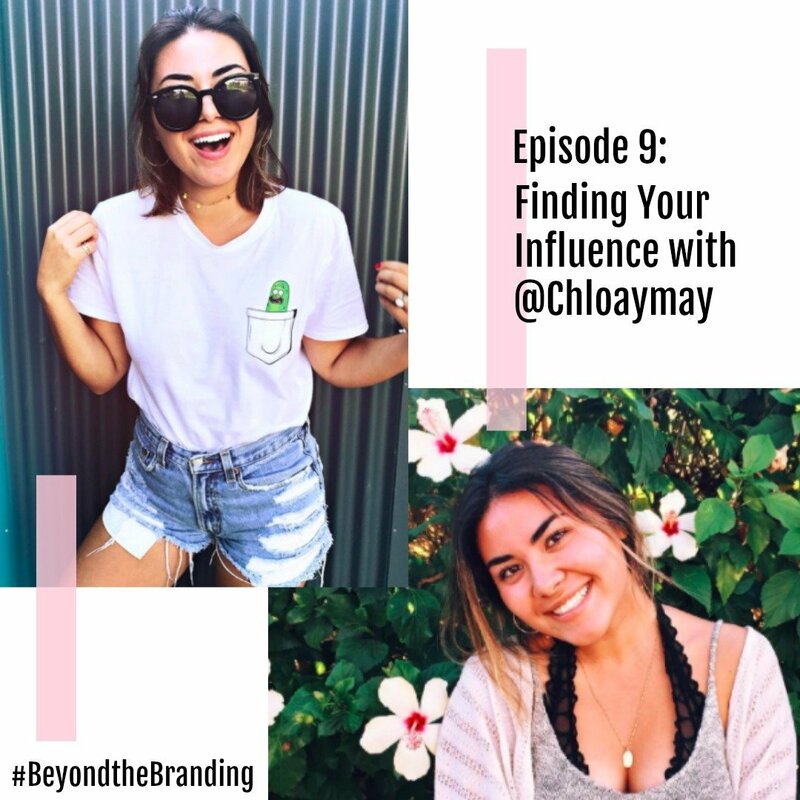 Get your notebooks out because class is in session, and Chloe is here to school us on the art of the microinfluencer. If you enjoyed this episode PLEASE go and give me a 5 star review over on iTunes…and you can even leave me a snazzy little review! That’ll help others be able to find and enjoy this podcast too!!! Where Can I find Chloe Online? 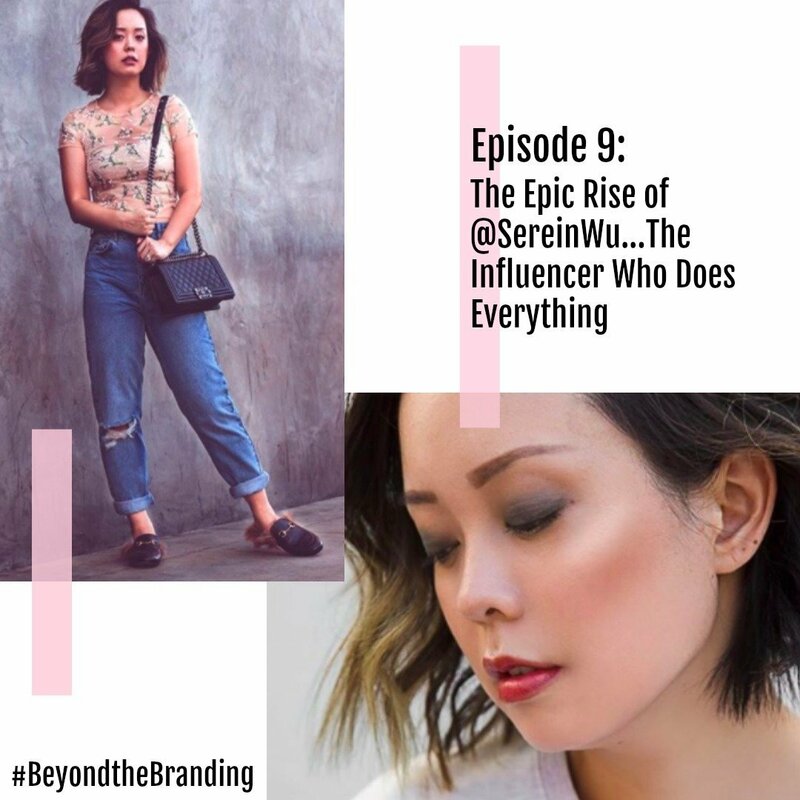 Episode 9: The epic rise of @sereinwu...the influencer who does everything! Where Can I find Serein Online? I guarantee you that if you spend much time in the YouTube/ Instagram world, you've seen today's guest pop up all over the place. Between the constant stream of brand partnerships, podcasts, YouTube videos, Instagram content, blog posts, you name it that this girl churns out, I am forever amazed at how she manages to do literally ALL OF IT. Serein has been a close friend ever since my "baby" days of working in PR, in fact...She was one of the first influencers I ever worked with in a professional capacity! I'll never forget (and stop being thankful for) the time she showed up to my PR event in a literal torrential downpour a few years ago. Even though it was a literal hurricane outside, Serein showed up and with a huge smile on her face...ready to learn about the products I was repping! Serein Wu is a giant in the beauty community. She's well known and well respected, having worked with a range of brand partners (most notably? A role in Ipsy's recent Halloween video!!) in the industry. She and her photographer/ music buff husband don't know the meaning of the word "rest" or "relax," constantly hustling for the next big opportunity. I LOVED sitting her down and getting to chat about all things influencer strategy, and hearing what her plans are for the future. Grab a cup of coffee or glass of wine, this one is a doozy! Today, I bring you...An interview with the most beautiful person on Earth. I'm only slightly kidding here people. Listen, we all know that I call 'em like I see 'em and today's guest is as beautiful on the inside as she is on the outside!! Nikki French is that Instagram model that you see popping up EVERYWHERE in your feed. You know, the one that is constantly uploading gorgeous beauty content that has you questioning all of the makeup skills you've developed so far? Today's conversation is all about how to crush it on the 'gram. Straight up, to the point. We dabble a little in the world of YouTube, but if you've been looking to take your 'gram game to the next level....look no further. 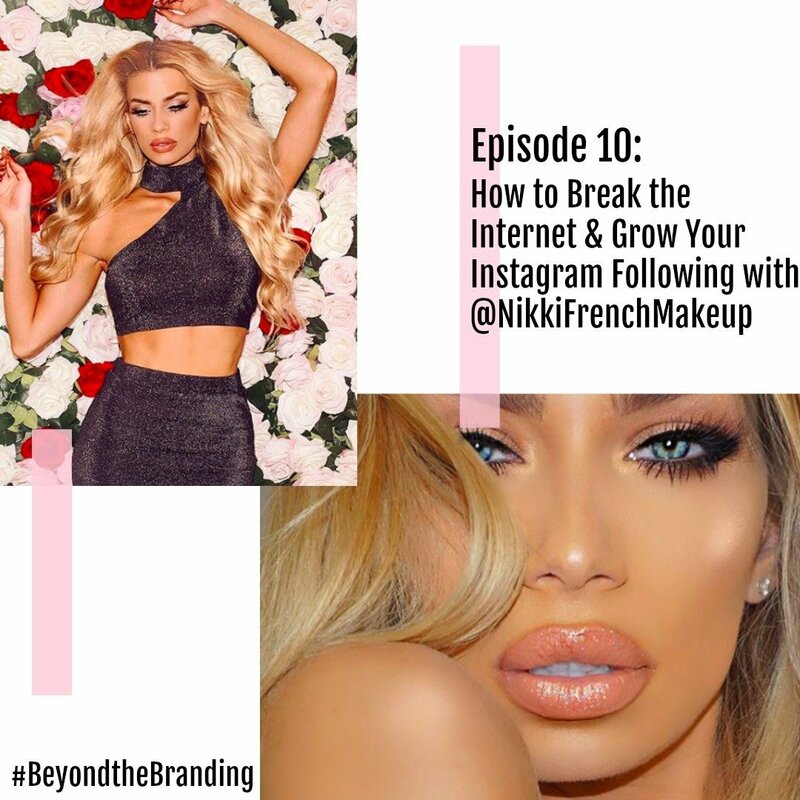 Pull out your notebooks and take a seat, because Nikki doesn't hold back when it comes to sharing ALL of the juicy details about how she rose to Instagram fame and how she recommends others go about navigating the tricky platform for ultimate success. Where Can I find NIKKI Online?